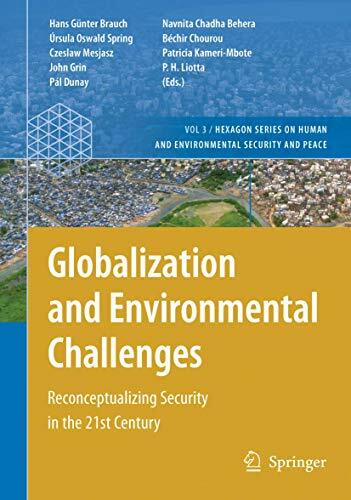 [PDF] Globalization and Environmental Challenges: Reconceptualizing Security in the 21st Century (Hexagon Series on Human and Environmental Security and Peace) | Free eBooks Download - EBOOKEE! Description: Globalization and Environmental Challenges pose new security dangers and concerns. In this reference book on global security thinking, 92 authors from five continents and many disciplines, from science and practice, assess the global reconceptualization of security triggered by the end of the Cold War, globalization and manifold impacts of global environmental change in the early 21st century. No comments for "[PDF] Globalization and Environmental Challenges: Reconceptualizing Security in the 21st Century (Hexagon Series on Human and Environmental Security and Peace)".